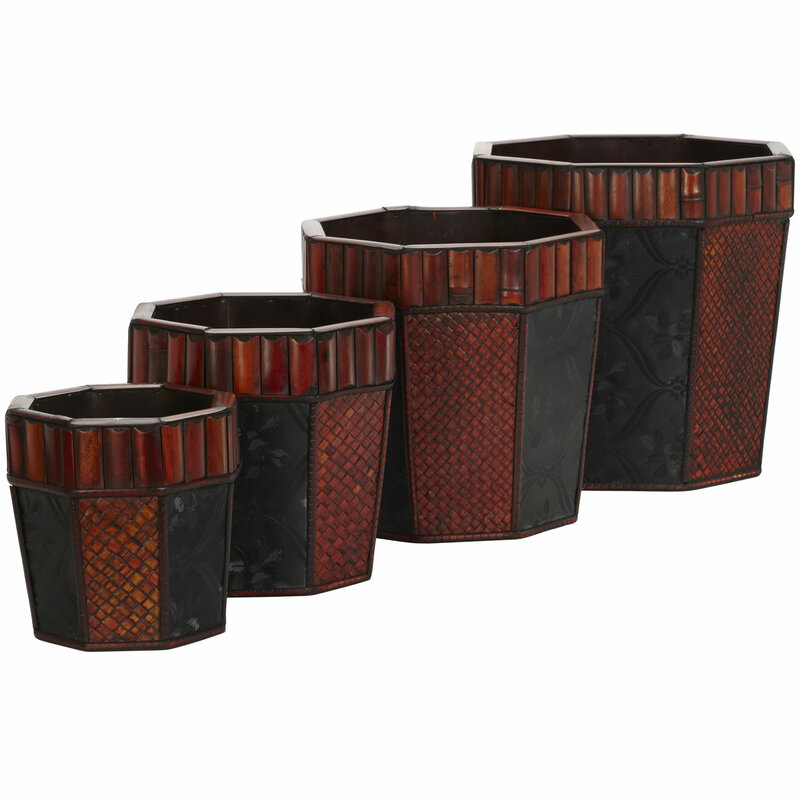 This set of four island inspired hexagon planters (with two contrasting patterns) is perfect for any decor. 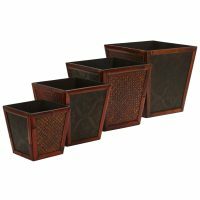 Enjoy the vibrant burgundy and earth colored cross hatching set next to the light charcoal colored flower pattern framed against a darker background while separated with dark segmented trim. All resting under a ring of thick reddish brown bamboo panels! 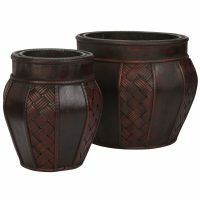 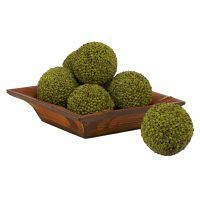 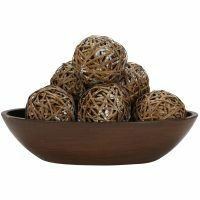 Absolutely perfect for holding our tropical-inspired plants or trees, or to admire on their own.